If you’ve always had shop-bought burgers because you thought making your own was either more expensive or long-winded, you’re in for a surprise. Making your own takes, literally, 5 minutes of actually doing something, together with a few hours of leaving something in the grudge. If you can manage 5 minutes of effort, I don’t think you’ll ever go back to buying pre-made. Of course, once you’ve mastered this technique (which you’ll do in the first pass!) then you could always step it up a gear by buying sirloin or chuck steak next time and grinding your own. For speed, we’re using really lean steak mince this time. Making them yourself means you know precisely what’s in them as well as being able to take them in a different direction in terms of flavour. This is when our spice rubs really come into their own! 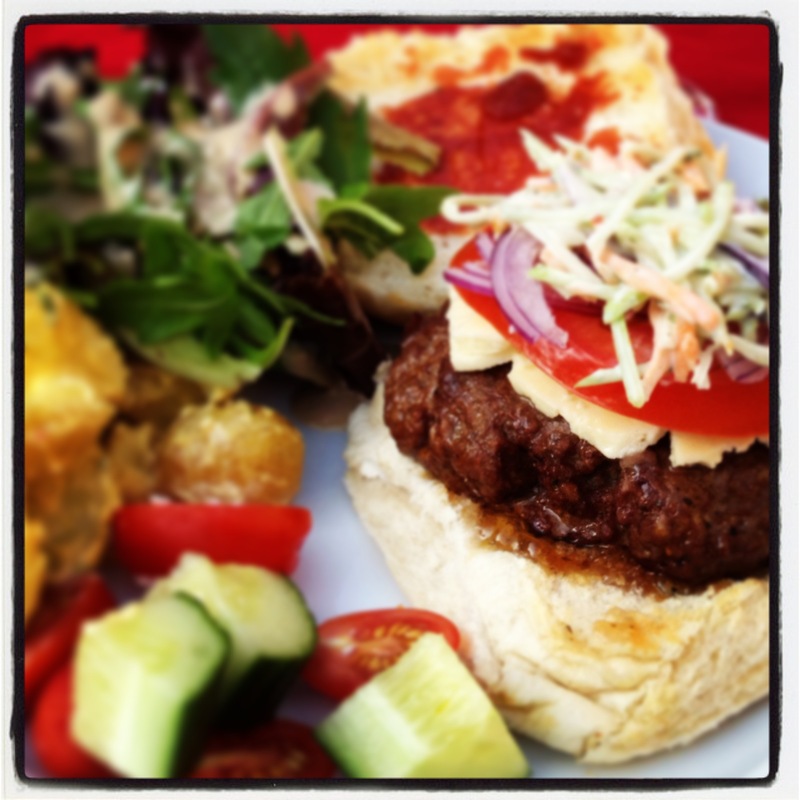 They’re such a quick way to boost flavour and give your burger a more personalised edge. Oh, and don’t think about adding any breadcrumbs or egg to bind, you simply don’t need it; a pinch of sea salt will do the trick on a molecular level! put back in the fridge for an hour to firm up & that’s it! Remember to take out of the fridge 30 mins before you cook them to get them to room temperature; a good guide is to do it when you light the BBQ coals. If BBQ’ing, turn over every minute or so until cooked. Serve simply: I like them on a toasted bun with beef tomato, wafer-thin red onion, garlic mayo and, of course, cheese.